The brand new Ghostbusters movie is making waves with its mostly female cast of ladies known for being hilarious. While I’m not always a huge fan of when filmmakers reboot an old favorite, this movie looks like it is going to be on point. It’s been a while since the 1980’s and a little polish, some cool special effects and of course some hilarious laughs are giving this new version life! I always have to be the smartypants at the theater and know all the insider info, in fact, my friends are starting to expect it! Haha! 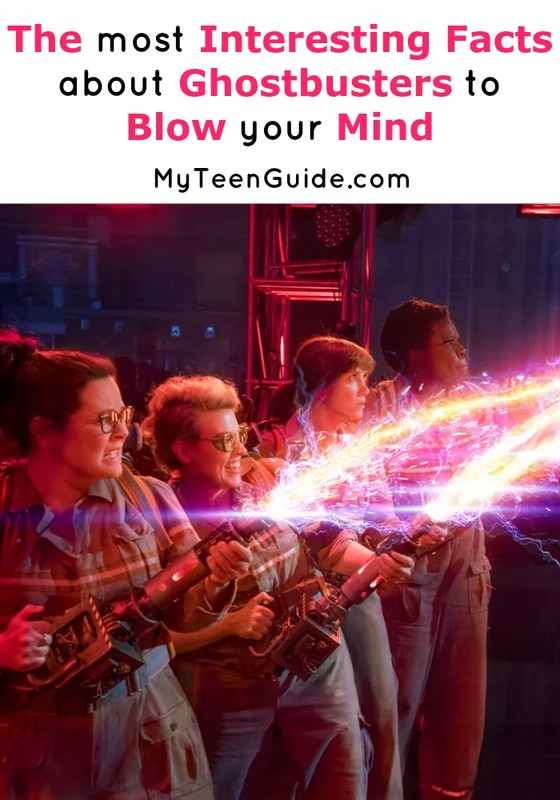 Check out some of my favorite interesting facts about Ghostbusters, both the original and the new film! Ghostbusters is set to hit theaters on July 15, 2016. Did you know that the original Ghostbusters movie premiered in theaters on June 8, 1984? Check out the trailers for both the new and original flicks, then catch up on all the inside facts that will make you look like a rockstar! It was confirmed on July 31, 2015, that Melissa McCarthy’s stunt double would be Luci Romberg. This is the 4th movie that Romberg is McCarthy’s stunt double. The other three flicks were 2013 Identity Thief, 2015 Spy and 2016 The Boss. Filming started in Boston, Massachusetts on June 17, 2015, and finished in New York City, New York on September 19, 2015. There have been two movie trailers released; the first on March 3, 2016, and the 2nd on May 18, 2016. This is the 4th movie that Paul Feig has directed that stars Melissa McCarthy. The other three include 2011 Bridesmaids, 2013 The Heat and 2015 Spy. Before Bill Murray got the role of Doctor Peter Venkman, Chevy Chase, and Michael Keaton were up for the role, but both turned it down. The firehouse used in the movie was later remodeled and became part of the set in the 1994 movie The Mask as the mechanic shop. The actual firehouse is located in Manhattan, New York and is named the FDNY Hook & Ladder No. 8 Fire Station. The marshmallow goo that is dumped all over William Atherton, who played the role of Walter Peck, is 50 pounds of shaving cream. The title of the original film was initially called Ghost Smashers but later was changed to Ghostbusters. To show how large the Stay Puft Man was, the directors planned for him to come out of the Hudson River, close to the Statue of Liberty. However, it seemed the scene was too hard to shoot, so the plan was scratched. Comment with your favorite ‪#‎Ghostbusters‬ quote…ready, GO! So what do you think lovelies, will the new Ghostbusters movie be a smash hit? Are you excited to see the new flick? Do you hold the original so close to your heart, that nothing could ever compare? Tell me your thoughts down below in the comments!